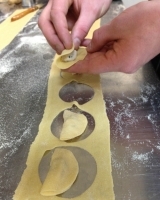 This class will take you on a culinary tour of Abruzzo, Puglia and other regions where few artisans are still making unique pasta shapes according to the traditional methods. 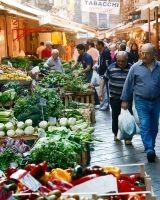 Many regions of Italy enjoy some of the higfhest rates of longevity in the world. This has been attributed to a diet that is rich in fresh vegetables, healthy fats and hearty portions of grains and pulses. Tortellini, ravioli, agnolotti; each region of Italy has their own version of filled pasta dishes. This pasta masterclass covers each stage of preparing the pasta, creating different fillings and folding the pasta into the various forms. At the end of the class you will enjoy a lunch of the pasta you've produced accompanied by a glass of wine or two. Everyone loves pizza. Quick, delicious and fun, it can be one of the most satisfying meals to create at home to share with friends and family. A serious pizzaiolo knows the secret to the perfect dough matched with the correct balance of sauce and toppings. 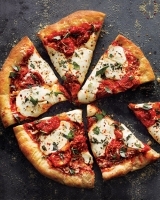 In this hands-on class you will learn the principles and techniques of making an authentic Italian pizza dough, selecting the right ingredients and achieving the best result in the home oven. Risotto is one of the great dishes of La Cucina Italiana and every good Italian cook always has one or two favourite risotto recipes up their sleeve. This demonstration class introduces you to the basics of risotto making: selecting the best rice, preparing the ingredients, and discovering fool-proof cooking techniques. 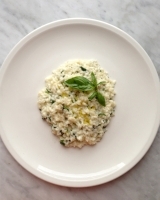 We’ll also show you some of the other wonderful dishes Italian’s make with rice. 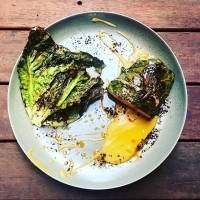 This class in presented as a demonstration and includes a taste of all the dishes prepared. 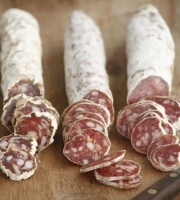 Learn the basic techniques for preparing and curing Italian style salami in this class taught by Chef Dusty Treweek who is a master of the craft. No other food captures the soul of Cucina Italiana like a simple plate of pasta. 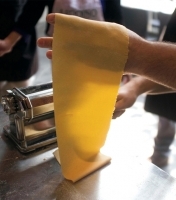 In this hands-on class you will learn to make your own beautiful silky pasta sheets for lasagna, spaghetti and fettuccine and how to pair your pasta with the perfect sauce. Hands-on classes are held in Enoteca Sileno’s professional kitchen and require all participants to roll up their sleeves and get involved. The class concludes with a relaxed lunch where you can discuss the class and enjoy the fruits of your efforts over a glass of wine. The Arab occupation of Sicily in the Middle Ages transformed the local cuisine and introduced many of the ingredients which are still very much a part of Sicilian cooking today. This unique class with Chef Paolo Arlotta, explores these influences with dishes which are unique to the Sicilian islands. This class is partly hands-on and partly demonstration and concludes with lunch. La cucina povera is the term that describes the humble, domestic cooking that was typical of Italy’s rural and urban working classes. 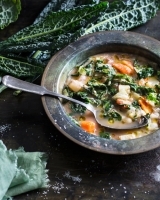 Dishes typically consisted of local, seasonal legumes, grains and vegetables, with herbs and local spices. This style of cooking is the essence of the Mediterranean diet; simple, pure, wholesome and delicious. This class is led by Chef Paolo Arlotta and is suitable for vegetarians. Polenta is the ultimate winter comfort food. Wholesome, rustic and hearty, polenta is enjoyed throughout Italy in a variety of styles and with myriad accompaniments. In Northern Italy, especially Lombardy and Veneto, polenta even tops pasta as the favourite family staple. This demonstration class will showcase the range of polenta from Moretti, one of Italy’s oldest and most famous milling families. You will learn how to select and cook different types of polenta with a demonstration of three recipes: Polenta Taragna (corn & buckwheat) with cheese; Polenta Bramata (yellow corn) with meat sauce; Polenta Bianca (white corn polenta) with seafood.